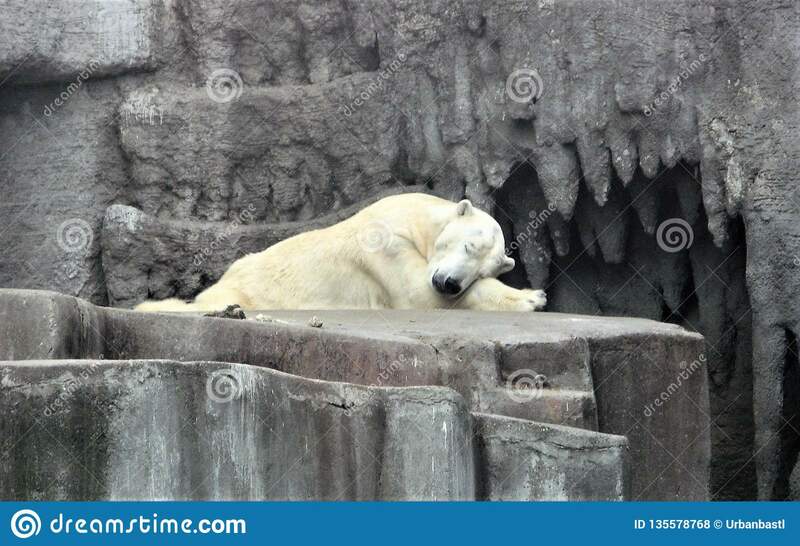 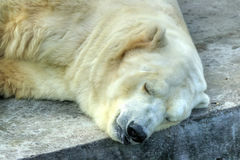 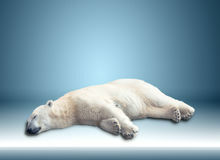 Polar bear sleeps in the zoo. 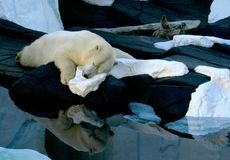 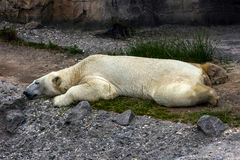 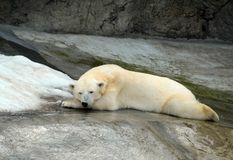 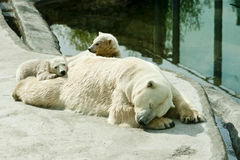 Polar bear sleeps in the zoo on artificial stone. 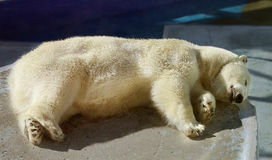 His life looks boring.